I hope you’re enjoying the beginning of the holiday season! While this time of year is often reserved for exchanging gifts and spending quality time with family and friends, I wanted to highlight this month the importance of giving back. Whether you’re volunteering for a local charity, leading your own drive, or simply lending a helping hand to someone in need, the benefits of giving back go well beyond the money raised, donations gathered, or community members helped by your direct efforts. Networking. Volunteering is a great way to meet new people, broaden your network, and meet people with similar interests. Expand leadership skills. If you see an opportunity to help an underserved cause or community, take the lead and organize an event yourself. This is an opportunity for you to develop your skills and share your passion and values with others. Learn new skills. Giving back is also a great way to learn something completely new, like cooking or basic carpentry. Many volunteer organizations are happy to teach you the necessary skills if you’re willing to provide the time. Across the country, many of our NSLS chapters take this sentiment to heart and do great work for their communities throughout the year, including Casper College and Blue Ridge Community College. Keep up the great work, and best of luck on upcoming exams! Continue Reading below in the Monthly Motivation section for more on how volunteering can help your career in many ways. Spring 2019 Speaker Broadcast Lineup Announced! Dr. Drew Pinsky, known to television and radio audiences for over 30 years as Dr. Drew, is a medical doctor, addiction expert and best-selling author. He hosted the nationally syndicated radio show Loveline where he took calls from listeners and answered questions about adolescent and young adults health and relationship topics for over 32 years. Loveline was a nightly television show on MTV from 1996 – 2000. He also starred in the hit reality series Celebrity Rehab with Dr. Drew on VH1 which chronicled the struggle for sobriety and the cycle of addictive disorders of a group of celebrities. Born in India, Dr. Shefali Tsabary is a world-renowned clinical psychologist and best selling-author. Oprah has endorsed her work as revolutionary and life-changing. Her ground-breaking approach to mindful living and parenting has taken her books to the top of the NY Times best-sellers list. Her blend of clinical psychology and eastern mindfulness sets her apart as a leader in the field of mindfulness psychology. Dallas Page, better known as Diamond Dallas Page, is an entrepreneur, highly sought after speaker, actor and former professional wrestler. He speaks around the world on topics such as adaptability, work ethic, creating change, long-term vision and how to turn negatives into positives. He teaches people how to live life at 90% because he believes life is about 10% what happens to you and 90% how you react to it. After an injury threatened his career, he developed DDP Yoga and in the process has changed millions of lives physically and mentally. He regularly visits the troops overseas, as well as Boys and Girls clubs and youth sports camps throughout the U.S., giving inspirational speeches and DDP YOGA demonstrations. Thank you to all the members who applied for the NSLS Scholarship & Awards program this fall. The winners will be announced this coming Monday, December 10, via email and on our website. Stay tuned! 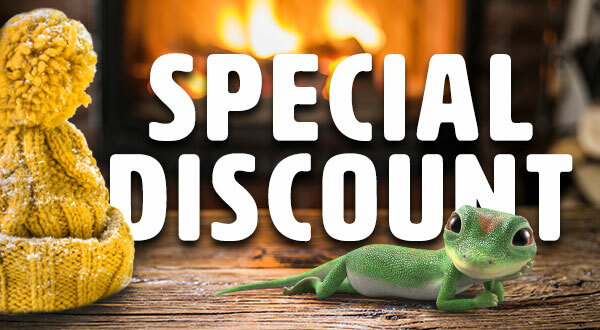 As an NSLS member, you could save with a special discount on GEICO auto insurance. Click the image above or call 1-800-368-2734 to find out how much you could save today! The NSLS chapter at Jefferson Community College was featured on 7News in Watertown, N.Y., for its work collecting items to donate to victims of Hurricane Harvey. Click here to watch the full report. 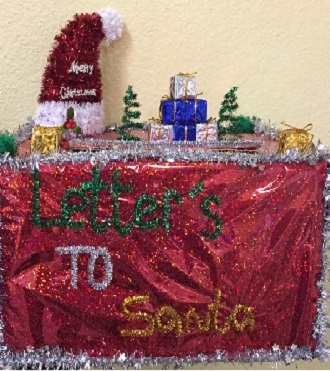 The chapter at TLU partnered with a local high school student to collect letters to Santa for the Macy’s Believe Campaign. For every letter collected, Macy’s donates $1 to the Make-a-Wish Foundation. Click here to read more. Member Katie Morrill, from the chapter at St. 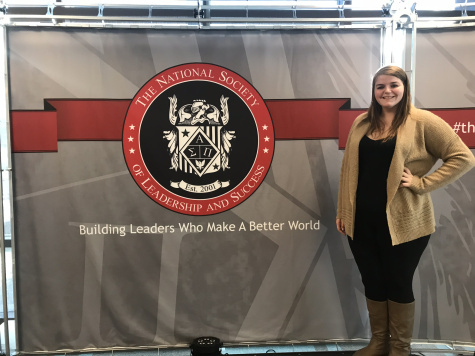 Cloud State University, attended the inaugural NSLS National Leadership Summit in November in Jersey City. More than 300 chapter leaders and members attended, and Katie recapped her experience on her blog. Click here to read more. In the 2016 Millennial Impact Report, over 77% of Millennials said they would be more likely to volunteer if they could leverage a specific skill or expertise to benefit a cause. But what if I told you that by volunteering, you can gain vital skills to take your career to the next level.